The Brookwood of Atlanta is one of Midtown’s newer condo buildings, not to mention one of the neighborhood’s more highly sought-after addresses. Originally built back in 2009, condos for sale at The Brookwood feature a rather soft contemporary look and feel, offering residents and condo owners plenty of living space, nicely-appointed interior finishes, and even some great views of the surrounding Midtown neighborhood, especially up on the building’s upper floors. Common interior features inside condos at The Brookwood include premium Viking kitchen appliances, granite countertops, marble and ceramic bathroom tile surrounds, wide-plank hardwood flooring, and even private terraces that overlook the vibrant cityscape below. Thanks to the building being somewhat recently developed, you’ll also find a wide-range of modern lifestyle amenities at The Brookwood Atlanta as well, including a full fitness center and exercise facility, a sprawling swimming pool and sundeck with plenty of seating, and outdoor kitchen and grilling area, assigned garage parking, available guest suites, and even on-site concierge service. 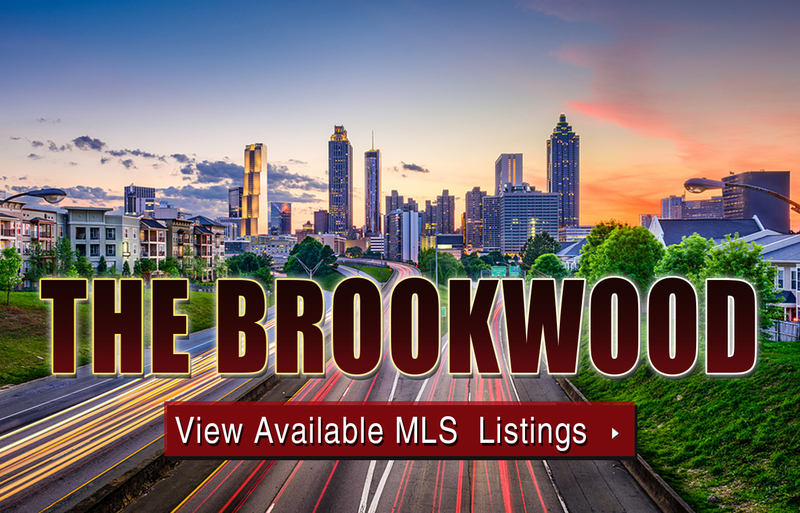 For more information about The Brookwood condos for sale in Atlanta, contact The Zac Team today (404) 564-7200! Listed below are recently closed sales at The Brookwood Atlanta. Whether you’re thinking about buying or selling a condo at The Brookwood, checking to see what other comparable properties have sold for in recent weeks and months provides helpful insight into current market conditions within the community. For more information about The Brookwood condos for sale or for a complete list of recent homes sold in the neighborhood, contact The Zac Team today! Can’t find what you’re looking for in Atlanta’s The Brookwood condo building? Start browsing other Atlanta real estate for sale or give the Zac Team a call at (404) 564-7272 for help with your new home or condo search today!